Water -soluble powder, dispersion is stronger.To prevent caking, increase instant of the product. 1) Be set to cool.dry and ventilated place .away from Fire source. 2) Sealed,avoid light,Prevent from rain and strong acis or alkali. 3) Lightly transport and protect from package damage. 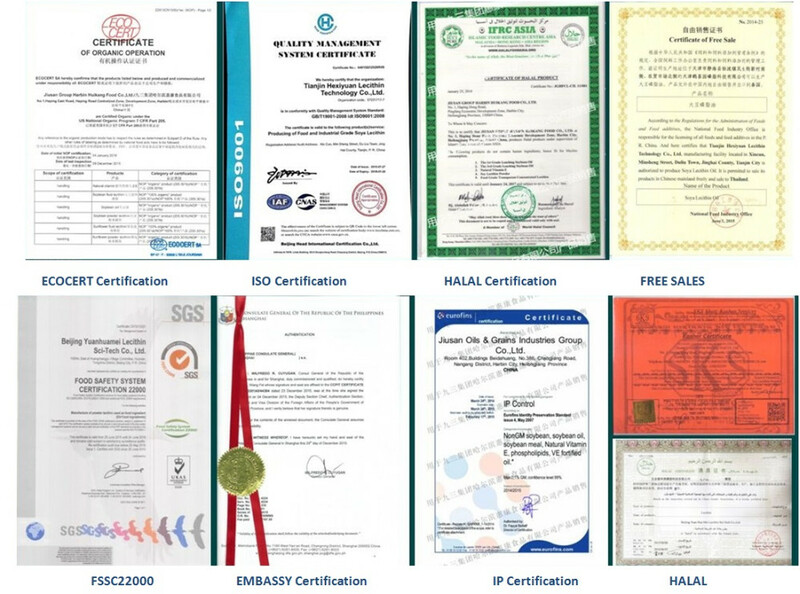 The product is very good improving agents for the quality of Ice-Cones/Wafers. It preveent moisturization, minimize crackness of cones/ Wafers. B. improve the extensibility and elasticity of doughs, helps improve the volume, crumb structure, and tenderness of bread. benefit yeast-raised baked goods. 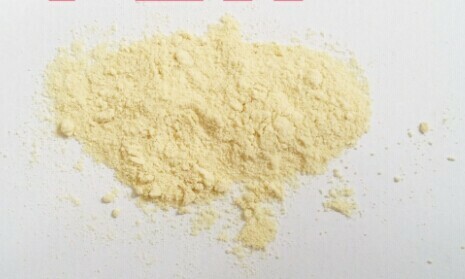 C. antioxidant and enhances the stability of vitamins in bakery goods. It supports the effects of oter active baking ingredients, can partially compensate for fats and protein. 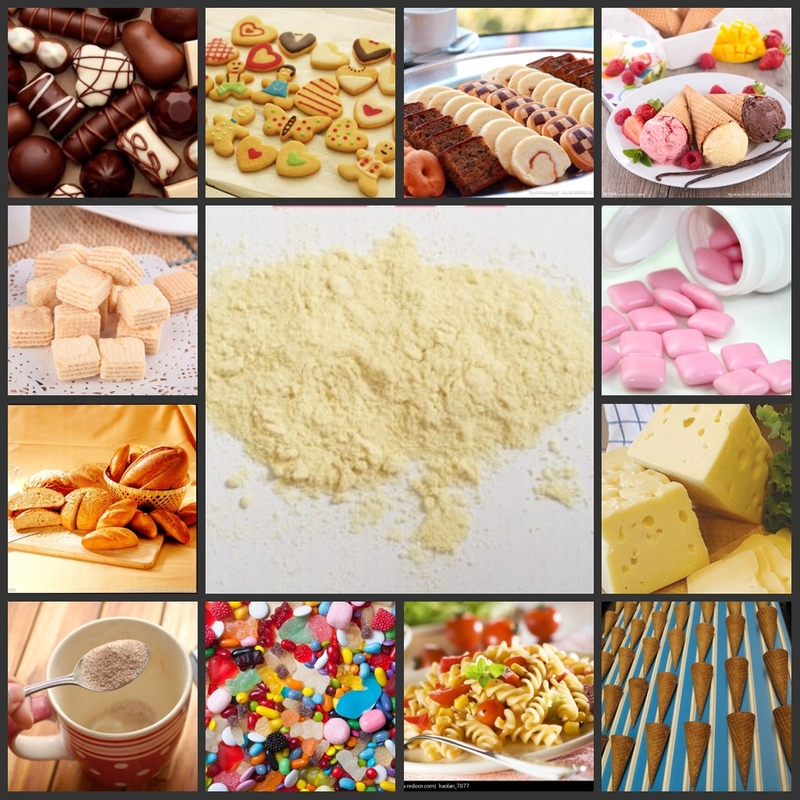 D. can improve shelf life and dispersing agent in an aqueous system like doughs and batters. F. In flat wafers, twisted ice cream cones, and pressed cones for soft frozen custard, improves release from the irons, supports browning reaction, and makes for more stable wafers that are less likely to break. G. helps form a fine film around the yeast particles in frozen pizza, thus protecting them from cold damage. “Our lecithin works as excellent viscosity Modifier” typical usage levels are 0.2%-0.6% of total product weight. It initially mix batches of confectionery hard-boiled & chocolates, save from dryness to the batches of confectionery color will we improved. greatly reduces the enabling particles of the chocolate. A. It reduces the need of fats to about 20% to 25% in Biscuits or any product after reducing the fats. B. Shelf time of Biscuits increases and Flavor, taste of Biscuits improves.